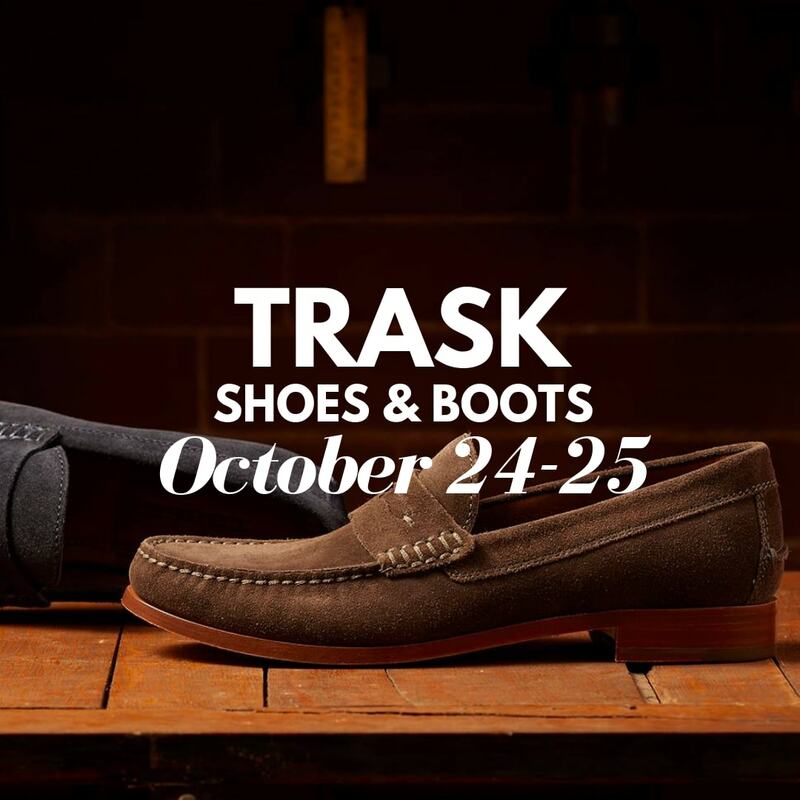 TRASK An outstanding shoe company inspired by the independent spirit of the American plains. Featuring premium Bison, Sheepskin, Calfskin leathers and suedes, Trask Shoes, Boots and Belts are made for comfort and durability. Mark Davidow of Trask will be showing the collection and presenting a Bourbon Tasting.